The daughter of a local police detective, fifteen-year-old Ryann has spent most of her life studying how to pull off the most gruesome murders her small Colorado town has ever seen. But killing is only part of it. Ryann enjoys being the reason the cops are frenzied. The one who makes the neighbors lock their doors and windows on a hot summer’s day. The one everyone fears but no one suspects. Carving out her own murderous legacy proves harder than she predicted. Mistakes start adding up. And with the police getting closer, and her own father becoming suspicious, Ryann has to prove once and for all that she’s smarter than anyone else—or she’ll pay the ultimate price. 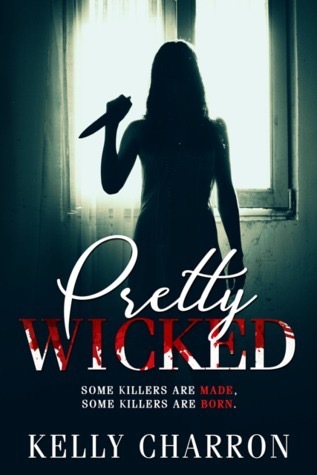 I picked up Pretty Wicked as part of my “TBR” catch up recently and its safe to say I was pleasantly surprised by it. Essentially a YA serial killer thriller, it was a pacy read. Its very odd to read a book about a teenage serial killer, but it was a refreshing change, even moreso because the main character is female. Ryann is an interesting, if a little over-confident, character. She lives at home with her sister and her parents. None of whom suspect anything sinister is going on in their daughter’s life. Pretty Wicked is the kind of book that you’d pick up and before you realise, you’re halfway through it. It’s not a light book, there is plenty of gruesome details within the pages, and yet it is a very easy read. I know this is a short review, but there isn’t a lot I can say without giving away the plot. The killer is known, it’s just the methods and the ending that’s the surprise. One to watch out for if you enjoy YA and thrillers as it’s a mixture of both!